Sport footwear (and even daily footwear) need to be carefully selected as they have a crucial impact on performance (stability, strength, sport result, biomechanics/body alignement, etc. ), injury risks, chronic or acute pains, and overall comfort/wellness. First we must consider what is the real purpose of a weightlifting shoe. 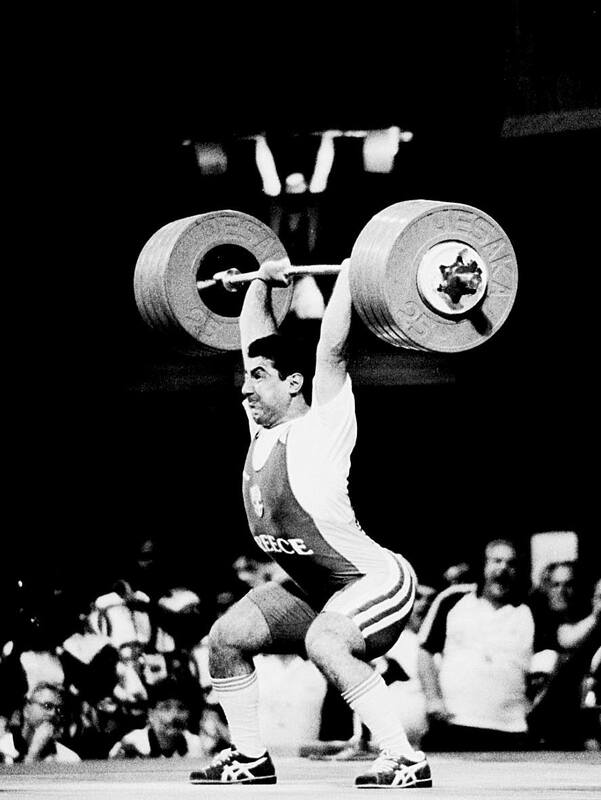 When wearing weightlifting shoes, the sportmen/women are looking for better body alignment for the sport – thus an increase in performance through better leverage. 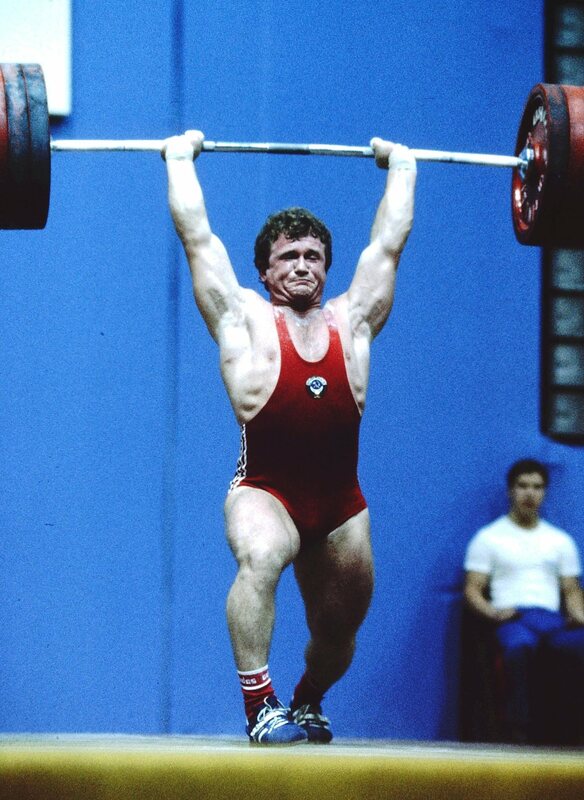 That is, the point of wearing weightlifting-specific shoes is that it is easier to achieve certain positions while wearing them. For example, weightlifting shoes have been demonstrated empirically to reduce the forward trunk lean during the back squat as well as improve knee extensors (Quadriceps) activity (Sato et al. 2012). In other words, they help you stay upright during the squat and use your quadriceps better. Another pros of wearing weightlifting shoes is certainly the increase in stability they provide. Good weightlifting shoes are designed to be stable laterally (to prevent foot torsion) but also provide a very stable support (heel). Now, in other sports-specific shoe wear, cushioning seems to be an important concern but for weightlifting, a more rigid heel is preferred. A soft heel may affect biomechanics, induce lateral movement of the foot (instability due to the heel), and may induce strength loss (or make you ”compensate” more). On the other hand, a very firm sole will allow the athlete to feel ”connected” to the platform and driving off the platform will be easier. When it comes to footwear, weightlifters are not as lucky as runners. We don’t have access to tons of shoe models like runners. Lots of research is going into running shoes – mostly because the knee injuries in runners have increased by approx. 30% in the last 13 years. Many reasons for this are proposed – one of them is bad personal footwear choices. The right shoe is important so that you reap the benefits they are intended to do (as I wrote above) but also to reduce injury risks – especially overuse injuries due to poor motor pattern. For instance, a soft sole may make you at risk for knee injuries especially if it allows your foot to be pronated. Heel height may also come into play here – it needs to match your needs. Too high and you will have trouble pulling of your heels (Center of gravity will be too forward) and too low and you may not be able to be as upright in the squatting motions (extremely dependent on your own biomechanics). I have to resort to anecdotal stories as there is so little research on weightlifting shoes. I have seen on multiple occasions athletes change shoes and be able to hold positions they could not with their old shoes and immediately increase their speed, timing and stability. Granted it could be a placebo effect – but if that was the case, the effect would wear down and disappear over time. Two stories come to mind immediately. In the first case, my athlete went from a lower heel shoe (with very poor lateral stability) to a higher heel shoe with extreme lateral stability. Said athlete was able to be more upright during squatting motions as well as keep her knees from moving in or out (knee moments were balanced in a way where the knees stayed where they should). Her squat went up rapidly and so did her clean. Credit Bruce Klemens. The importance of the foot lateral stability is real during the jerk and squat. In the second case, the athlete went from a soft sole weightlifting shoe to a wood sole weightlifting shoe. The wood sole was also lower in comparison to the soft sole. The athlete’s starting position improved immediately (easier to keep her back tight and feel her weight on the back of her feet), her speed almost doubled but more importantly, she was catching deeper and more upright. Her old soft lifting shoe made her feel unstable and the high heel made her feel like all her weight was on her toes. 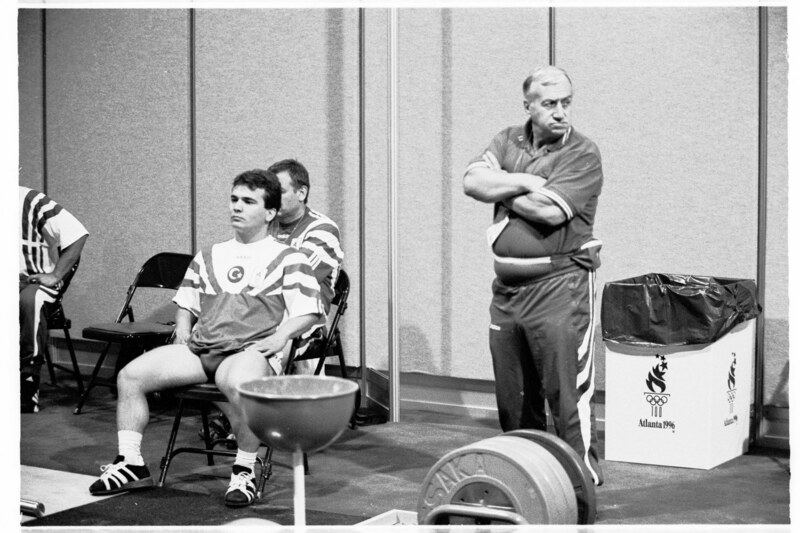 Everybody is different and you should try different weightlifting shoes to see what feels the best and what looks the best position wise. Wood soles or very firm plastic soles are better than soft rubber soles for stability and to increase strength out of the hole. If you have pronated feet or flat feet, looking into orthopedics is a must. Many lifters wear them and they increase stability, ”strength”, foot positioning (thus lower limb positioning) and may help lower injuries through better limb alignment. heel adjustment can be made to remove or add height the shoe. the front of the shoe should be super flexible if you intend to split jerk. If you can’t pull off your heels (it seems) try a low heel shoe. If you can’t stay upright in the squat (always lean forward), try a higher heel shoe. Next Post Next post: Paralysis by analysis : Stop thinking and start improving!